Discover pure tropical bliss with a sublime 3-star holiday on the paradise shores of the Seychelles. Browse our range of hotels and resorts and prepare for the holiday of a lifetime. 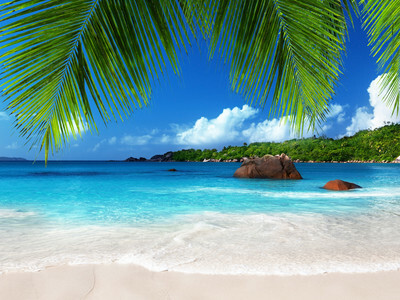 The captivating beauty of the Seychelles is waiting to be experienced during a sensational 4-star holiday. Take your pick from our selection of luxury hotels and resorts and start planning your dream holiday today. Succumb to complete relaxation during the holiday of your dreams in the Seychelles. We have an array of lavish 5-star hotels and resorts for you to choose from. Visions of emerald lagoons lapping sugar soft sand and swaying palm trees that cascade over the water which ripples against unique formations. 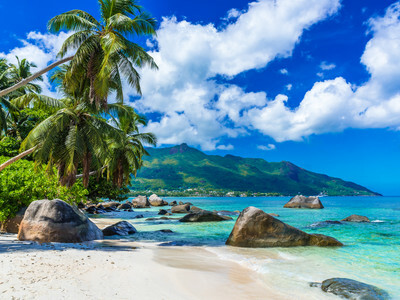 Hammocks gently rocking in the breeze, splashes of colour and stylish resorts; the Seychelles is pure paradise, a collection of islands and with a few twists thrown in the mix. It’s a blend of 115 granite and coral islands in the western Indian Ocean and boasts two UNESCO World Heritage Sites; the Vallée de Mai and the Aldabra. A world of discovery awaits eager visitors to this collective island retreat that boasts a contagious mix of culture, history and heritage, and of course breathtaking vistas. Tropical forests and mountains, fishing villages and colourful festivals, an underwater world of vivid colour that’s second to none, and plenty of energetic thrills and spills for the adventure loving tourists. If all this seems a bit too much, then slowly meander through local markets, stopping to sample café cuisine before returning to the powder soft sands and wiling away the hours in the sunshine or shade. Ideal for family travel and those extra-special breaks, the Seychelles offers a superb choice of plush hotels, and budget accommodation. 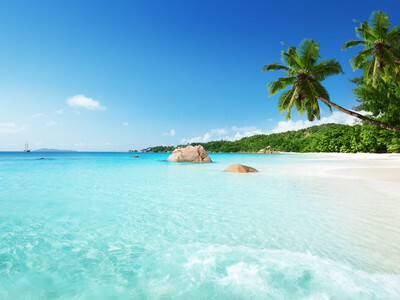 Pristine beauty that will satiate the senses of every visitor, the Seychelles is a breathtaking array of sights and sounds, flora and fauna, coral atolls and reef islets. Walking and hiking trails, island hopping, shopping, beach life and cultural events, there’s plenty of choice. From diving and sailing to golf and horse-riding, island beauty can be enjoyed at every turn. If culture and society is your primary interest then enjoy the many displays of folklore, traditions, cuisine and of course colonial architecture, from a melting pot of people creating a vibrant diversity that’s more than welcoming and tranquil. During your stay stop by Eustache Sarde’s House, one of the last remaining houses showcasing timber design from the 1900’s. Art galleries are located in the likes of Mahé, Praslin and La Digue. Jewellery, in particular ‘Black Pearls’ can be purchased from Praslin Island. Cousin Island Special Reserve is an example of eco-tourism and definitely worth a visit if you’re in tune with nature. Sprawled over an acre of land at Anse L’Union, visit the national monument Granite Boulder, one of the Seychelles’ natural wonders. Marine Parks, in particular Ile Cocos is the picture that defines the beauty of the Seychelles’ and you’ll love it here. This year round destination is perfect for beach lovers since the climate offers sun and warmth throughout the annual calendar. Temperatures remain between 24°C and 32°C with annual rainfall occurring mainly between December and February. Due to this, it can be quite humid through to April. The islands themselves are outside of the cyclone belt; all bar the most remote southern islands. May to October provides the dry weather and slightly cooler temperatures.